Our WOW™ tours are designed to thoroughly introduce the candidate or employee and his or her family to the destination area before, during or after acceptance of a move and to get them excited about a new environment. And, as important, our program helps companies determine if a transferee is likely to be comfortable living and working in a new area – a key consideration in the recruitment and retention processes. Prequalification in a timely manner. Access to nationally competitive mortgage rates and terms. Complete guidance through the home financing process. Advance of reimbursable closing costs per company policy. OneWorld Relocation Services, Inc. will assist your employee in securing an executive style safe, clean, and convenient form of housing, should short term housing be necessary. Most properties need no security or lease signing. All properties can accommodate the physically challenged. We use only top notch properties throughout the United States. Finding the right schools is a necessity for any parent. Besides our own guidance and material, we have essential resources in finding just the right school, whether private or public. OneWorld can report on each public school district and their test scores. Full Educational Counselors can work closely with the family on private schools with various price point levels. OneWorld Relocation is pleased to offer Career Assistance. We can simply refer the spouse/DP to a head hunter at no cost to your firm. We can refer the spouse/DP to a company specializing in full career counseling and transition including but not limited to; individual counseling and support, employment research on the destination area, job search action plan, resume development, networking guidance, interview skills coaching, licensing and certification research. OneWorld Relocation Services has a national contract with a furniture rental company in order to pass along a volume discount to your firm. Furniture showrooms are located around the nation for easy viewing. Quick delivery and pick up of furniture. Easy billing on monthly or quarterly basis. At a nominal fee, OneWorld Relocation will ensure your employees receive the authorized lump sum along with strategic cost saving recommendations including preferred rates on national van lines, self haulers, real estate commissions, rental cars and other moving options. OneWorld Relocation & its partner firm, will design a customized solution or clients can choose the level of assistance best suited to their needs from a menu of tiered services. Use our travel professionals to take advantage of national hotel, car rental, airfare discounts, or allow us to use yours to book the policy provisions related to the relocating employee. OneWorld has agreements with national car dealerships and local dealerships in most metropolitan areas to expedite car sales at the best possible price. For U.S. bound employees, we have auto and insurance programs designed for foreign nationals that do not have social security numbers or American credit. Through our national agreements with two prominent banks, our clients receive “premier” accounts at no charge, unsecured personal credit cards and additional banking amenities. The WOW ™ E-Debit Card is a pre-funded card that employers may give to their employees in order to advance money and give them immediate access to money upon arrival. Immediate access and 24/7/365 via ATM’s make this card easy to use for traditional or lump sum moves. OneWorld Relocation will arrange for the smooth transfer of household contents to and from any destination worldwide. FULL HOUSE HOLD GOODS SERVICES - OneWorld Relocation has national contracts with various reputable national move management firms in order to pass along a volume discount to our clients. Through our partnership, we can provide a full service management of the process including selection, and cost control of suppliers. SELF PACK AND DRIVE - The alternative options from full service van line is a referral to a self-drive truck company in which we have a nationwide network of convenient dealer locations for easy pick up and drop off. This option is especially good for lump sum moves or entry level moves whereby the invoice gets paid by the employee or by your firm. PACK AND LOAD ASSISTANCE – SELF DRIVE - The middle of the road between “full service van line” and “self-drive” truck is a “Truck Rental with a Pack/Load/Unload” Option available in any combination. Accompaniment to Social Security Administration and Driver’s License Bureau. Auto Leasing and Purchase Options. Business etiquette and formalities of ‘acceptable and appropriate’ in the US. 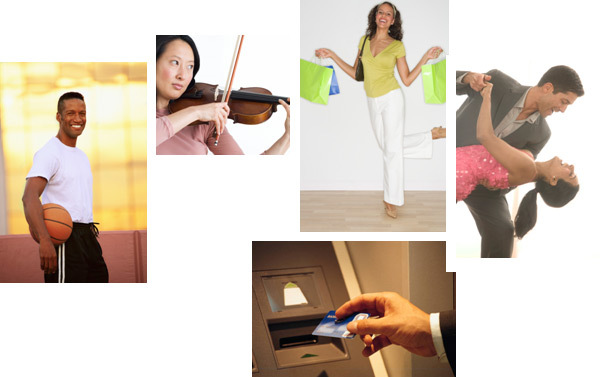 Accompaniment to local bank branches, ATM use and Identity Protection overview. United States Post Office introduction to stamps, hours of operation and sending packages. Shopping locales and procedures, i.e. hours of operation, self check-out, express lanes. Restaurants and Bars, tipping, dress codes, cuisines. Arts, Sport and Leisure Activities, Museums, Parks, Cultural Events, Television, Radio and Publications Overview, Medical and Dental Referrals, Libraries and Educational options. Safety and Security debriefing of local police, fire and customs in addressing force. Local Websites for local resources. All individual requests to satisfy the overall well being of the employee and his or her family. The overwhelming issue of having to sell a home while coordinating the purchase of a new home can hinder even the easiest of moves. We offer tax beneficial home sale programs to sell your employee’s home at the best possible price in the shortest possible time and at the lowest possible cost to your company. Includes all of the essential functions to help end a tenancy and coordinate between the tenant and the landlord for a speedy security deposit return. Pertain to all lifestyle functions to help the transferee move forward at a quick pace. Coordination with building on reserving elevators, notifying superintends, etc.